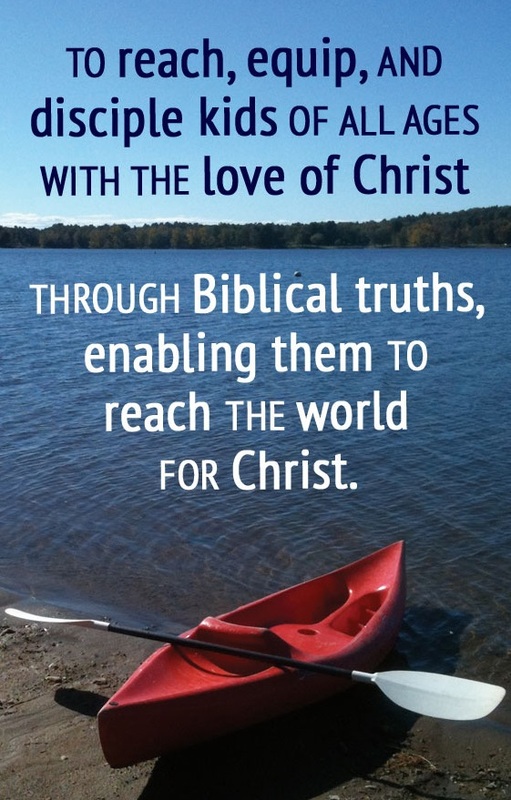 Sacandaga Bible Conference has been blessed with about 100 acres of fields, woods and waterfront, with abundant spaces for hiking and absorbing the beauty of God’s creation. The beach on the Great Sacandaga Lake is fully staffed by trained lifeguards and open daily during the summer season for swimmers, sunbathers, picnickers and boaters alike. Kayaks and canoes are available, with several islands you can explore just a short paddle away. Tubing rides also are available for free, and pontoon boat rides are offered during family camp. For guests with boats and personal watercraft, a free public boat launch is 2 miles away. At night, gather around the fire pit for some singing, s’mores and Christian fellowship. Challenge your friends to a game of paintball. Or take a swing from the high-ropes course, take aim at the archery range or climb the rock wall in the gymnasium at the Ray Mills Youth Center, which also includes a full volleyball and basketball court. Gaga ball, shuffleboard and other games are offered around the campus. Or for a slower pace, hit the woods to explore the heights, with beautiful views of the Great Sacandaga Lake, or wander deep into Pine Tree Forest. Also, the lounge in Arthur Johnston Lodge is stocked with books, games and puzzles. Youth campers will also participate in several skills activities, including tennis, mountain biking and crafts. 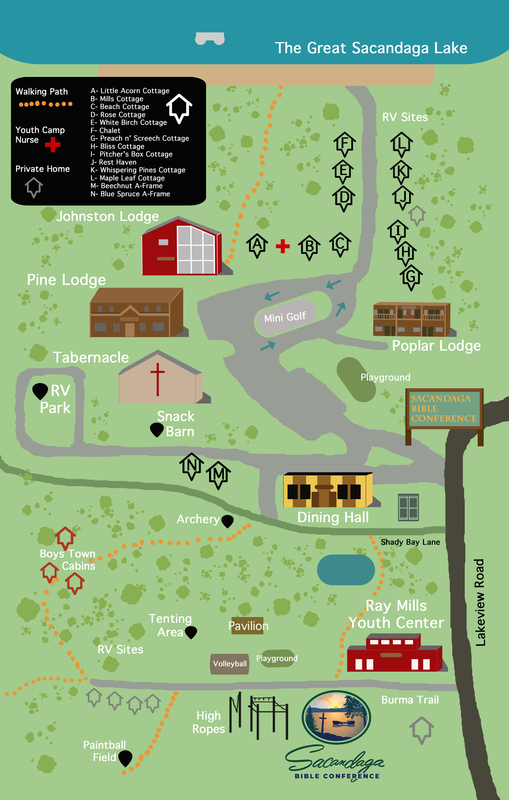 If you’re interested in exploring the area, The Eagle Mills Cider Mill and Adirondack Animal Land are a 10-minute drive, as is a visitors center maintained by the Fulton County Regional Chamber of Commerce & Industry. For history lovers, Johnstown, Amsterdam and Canajoharie offer several historic sites and museums. If you’re interested in staying around the water, the Saratoga & North Creek Railway operates passenger trains from the north end of the Sacandaga River through the Adirondacks. The Hudson River Rafting Company offers guided trips along the Sacandaga River rapids, among other waterways. 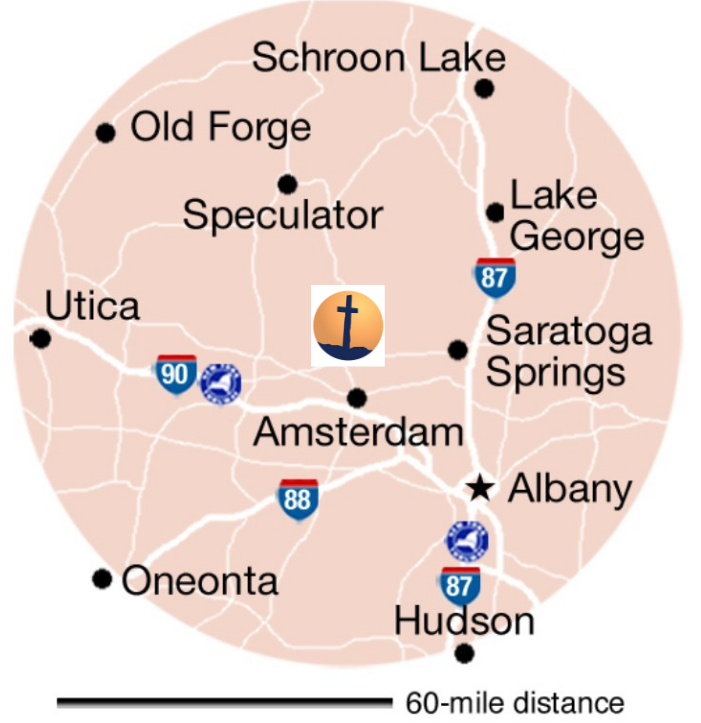 For daytrippers, Saratoga Springs, Albany and Lake George are within an hour’s drive.